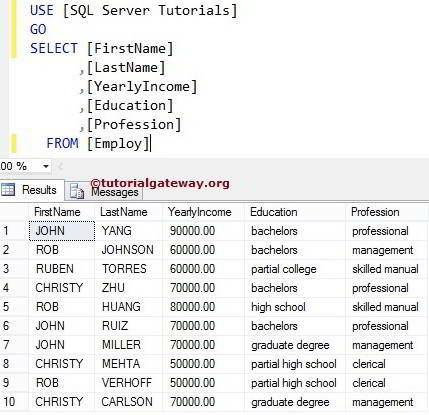 The SQL UPPER Function is used to Convert the given Text or expression into Uppercase. 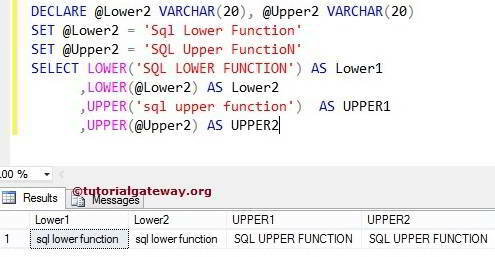 The SQL LOWER Function is used to Convert the given Text or expression into Lowercase. 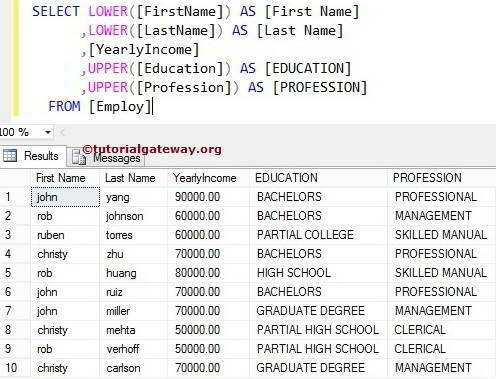 If you observe the above screenshot, [FirstName] and [LastName] column values are in Upper case but [Education] and [Profession] Column values are in Lower case. It looks tedious when We show the same output to end-user so, Using this Upper Function let us convert the remaining columns to upper case. 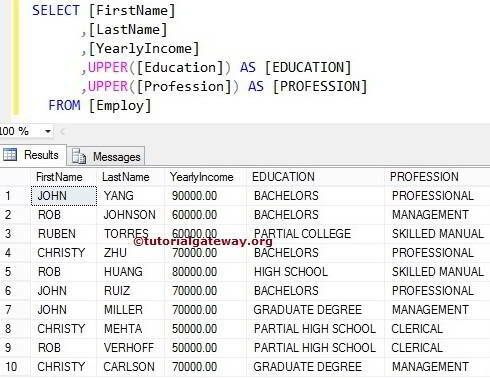 If you observe the Source Data, [FirstName] and [LastName] column values are in Upper case but [Education] and [Profession] Column values are in Lower case. It looks tedious when We show the same output to end-user so, Using this Lower Function let us convert the remaining columns to Lower case. In this example we will show you, How to combine the Lower Function and Upper Function in one SELECT Statement. 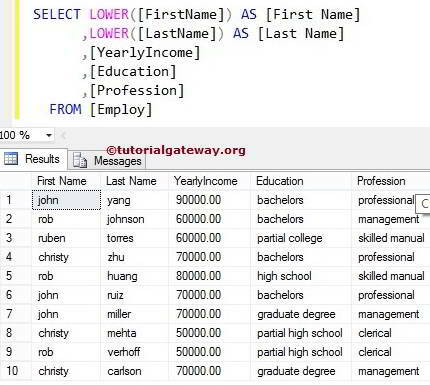 Above SQL Query will convert the [FirstName] and [LastName] column values to Lower case and [Education] and [Profession] Column values to Upper case. We can also apply Upper function and Lower function on constant values and Variables also.